I’m a fan of Lancome from way back. If you know me well, then you’ll know my first makeup product I ever bought was a Lancome lipstick when I was 12 years old. The sight of the Lancome rose brings back some happy memories for me and that lipstick was a luxe purchase that I would put on during some dark times. Lancome is a brand that I also love because as well as their top notch ingredients, they are known for their diversity in shade ranges. 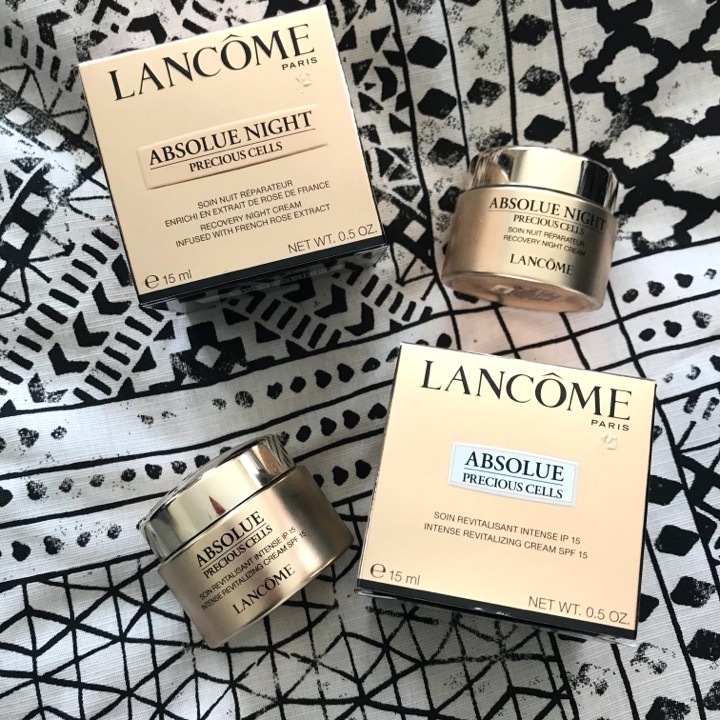 No matter how light or deep your skintone is, there is a foundation from Lancome that will match you. 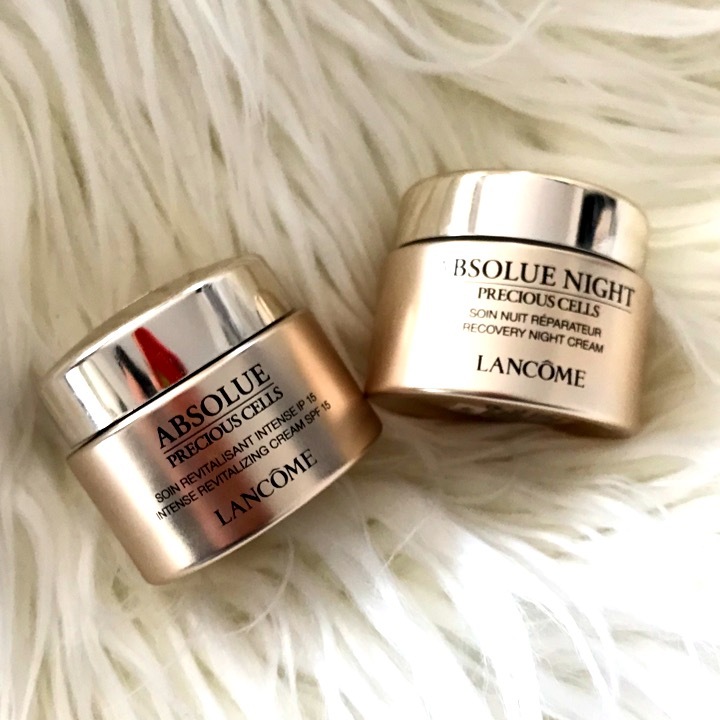 A while ago I made some purchases from Lancome including a gorgeous sleeping mask (click here for my review) and a setting powder that I have yet to post a review about. Life Pharmacy had an amazing gift with purchase which included a perfume, mascara, lipstick, a serum and these two skincare products that were nearly full sized. It was such a bargain! 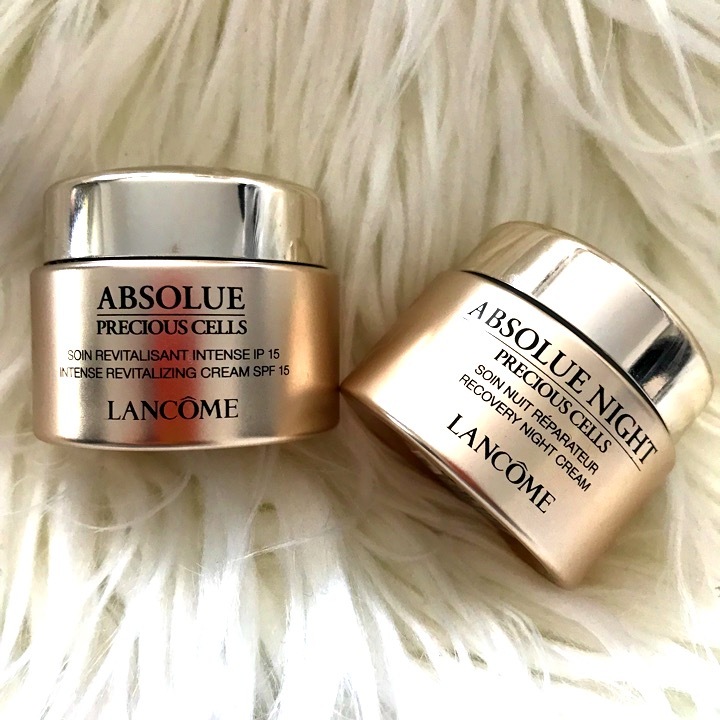 The Lancome Absolue Precious Cells range is made for more mature skin (ahem) that has battled with the environment, free radicals and needs a bit of extra hydration to plump it up. Sounds amazing? I thought so! I loved the packaging of this range – the gold makes them feel luxurious and the glass jars have a real weight to them that I like. They’re a lovely couple to sit on the bathroom vanity. In order to gauge how these partnered together, I made sure to use these as my main day and night moisturisers for a period of two weeks. 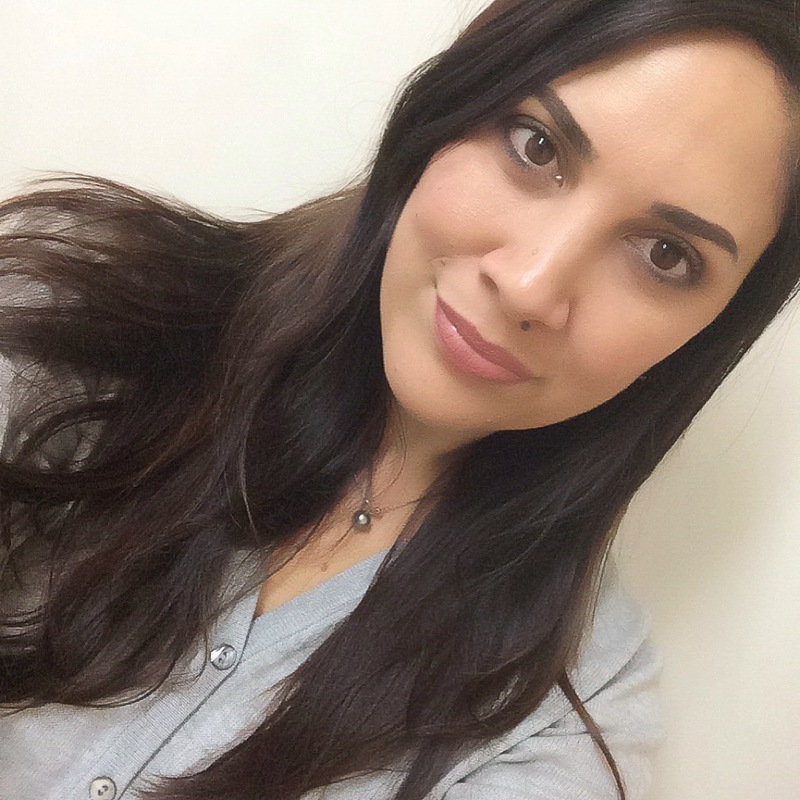 Keep on reading to see what I thought of these products. I found this cream to be quite thick. On smooth, cleansed but dry skin it doesn’t spread easily. You almost have to warm it up in your hands to apply smoothly and make it spread all over your face. Admittedly I have a big face, but didn’t want to use the whole jar just getting it from ear to ear! Applied over serum it smoothed easily on my face. It has an SPF 15 in it, and once smoothed on it didn’t give me a white cast which is great on my skintone. To be honest, I didn’t think this was amazing on me. I really expected a bit more given the claims, but it was a good daily moisturiser. I wouldn’t use this unless I had a serum underneath, so if you’re into layering product then this may be good on you. I will say that my skin is very dry and dehydrated right now as we move from winter and into spring so using this in the warmer months may suit my skin better. – Rose Distillate and CO2 Rose Extract: two potent rose extracts proven to revitalize skin. Now given this has beeswax in it I would have thought this cream would be a little hard to spread, just as the day cream was. I was wrong. This cream is very nice, hydrating and smooth to apply even to a cleansed, but dry face. It wasn’t too heavy, but gave my skin lots of hydration so that when I woke in the mornings, my still felt moisturised and fresh (as long as I didn’t rub it all off on my pillow lol). This cream layers nicely on a serum or oil as well and seems to perform even better with this extra level of hydration base. For me it was pretty clear that the night cream was great for me, but the day cream wasn’t amazing. If you’re looking to invest in one of these, I’d go for the night cream hands down. Of this two this was the one that I would consider investing in the full size. I’m nearly at the end of the jar now and am having a few palpitations over that. Have you tried anything from this range? Let me know what your thoughts were.